My client tells me we will have to reschedule our meeting until after the gala—four months from now! Our work, to grow their individual major gift program is one she seems to think can go on the shelf. That in itself is troubling. More troubling is that she can’t find time during the four-month lead in to the gala to continue doing other fundraising work. To put it mildly—this is nuts. It is also all too typical. I ask her how much time weekly she is spending on the event and she tells me “at least 40.” I envision her working with corporations and larger individual donors, bringing in big big big sponsorships. I imagine that she is reaching out to new communities, using the event as a point of entry into being involved with her organization. But, no. She is working on the Save the Date card—get just the right look. Then there is the invitation itself. Onward to the program, tablecloths and centerpieces, the look of the check-in table. This is truly work for no good purpose. All the pieces are already in place—never again will an invitation go out without important information. If you can’t hire an events coordinator, use what is to hand. In my career, I oversaw more events than I care to consider. If the event was at a hotel, I leaned heavily on the catering staff. I gave them my budget, my parameters, and my promise that if things went well, I would tell the world how good they were. But if they didn’t…it was a threat I never had to make good on. I trusted my printer to make sure that the invitations, etc, all looked good. I spent a fair amount of time once to discover the most effective check-in processes, and then wrote them up in stone. Creativity is wonderful, but not always desired. 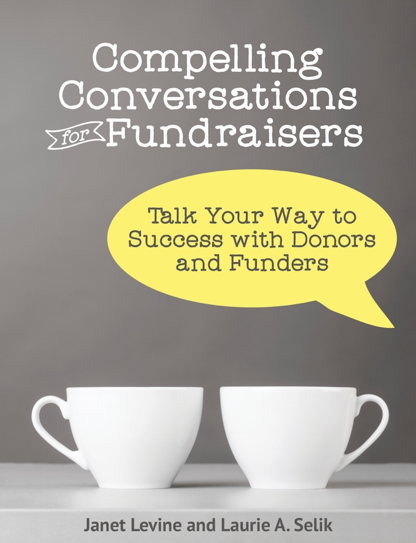 And then I spent my time on using the event as a way to build relationships, create partnerships, and be a starting point for raising more money. Janet Levine works with nonprofits, helping them to increase fundraising capacity and build stronger boards. Learn more at http://www.janetlevineconsulting.com. While there, sign up for the free newsletter. This entry was posted in fundraising and tagged branding, consistency, events, fundraising, planning, productivity, simplicity. Bookmark the permalink.